Dr. Jill Gryschuk was born and raised in Saskatoon, Sk. She completed her Bachelor of Science degree in Physiology at the University of Saskatchewan in 2008. She then went on to obtain her Doctor of Optometry degree in 2013 from the Indiana University School of Optometry graduating with high honours. During the course of her studies she completed internships in Indianapolis Indiana, Orlando Florida, and a Veterans Clinic in North Florida. She also completed a specialty contact lens training program in Jacksonville Florida. Dr. Gryschuk started at Invision Eye Care Centre in the summer of 2013 and is very happy to be back in her home city to practice Optometry. Recently she had the privilege of becoming a partner of the practice when Dr. Robinson, after 36 years of service, decided to step down. 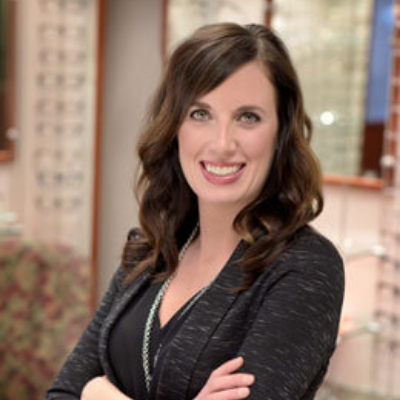 She is honoured that Dr. Robinson would trust in her the care of her patients and she excited for this new chapter in her life as not only an optometrist but also as a business owner. Dr Gryschuk enjoys all aspects of optometry and is happy to see patients of any age. She has a specific interest in dry eye management and contact lenses. In her spare time Dr. Gryschuk enjoys spending time with family and friends playing board games or cheering for her favourite sports teams. She likes to stay active by running (hoping to complete a marathon soon) and playing slo pitch in the summers.